Peanut Butter. I like it in almost all forms. Chunky, sweet, light, creamy, plain. You name it, I like it. 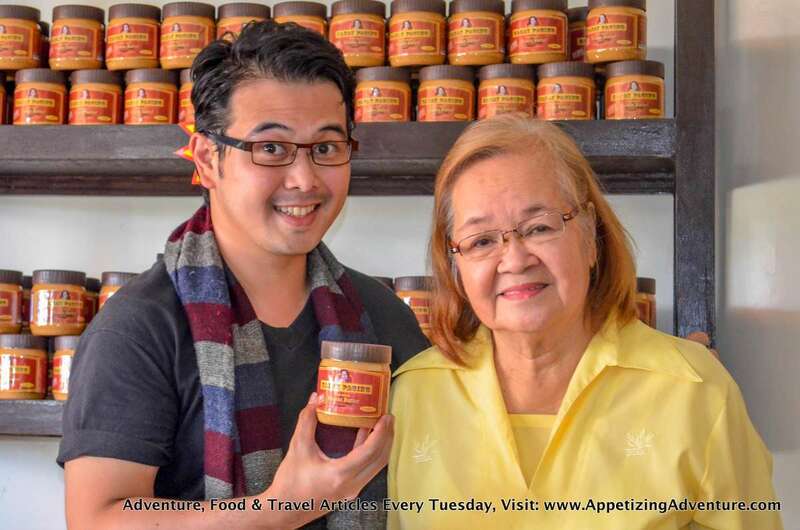 The provincial tourism office of Aurora insisted I try Nanay Pacing’s Peanut Butter in Baler and meet Nanay Pacing herself. 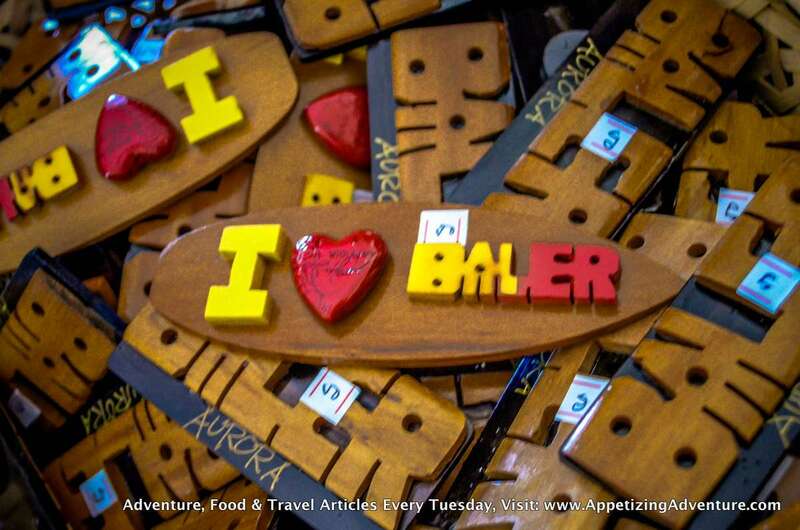 Baler is a town within Aurora Province. Days before the scheduled meeting with Nanay Pacing, I started asking around. 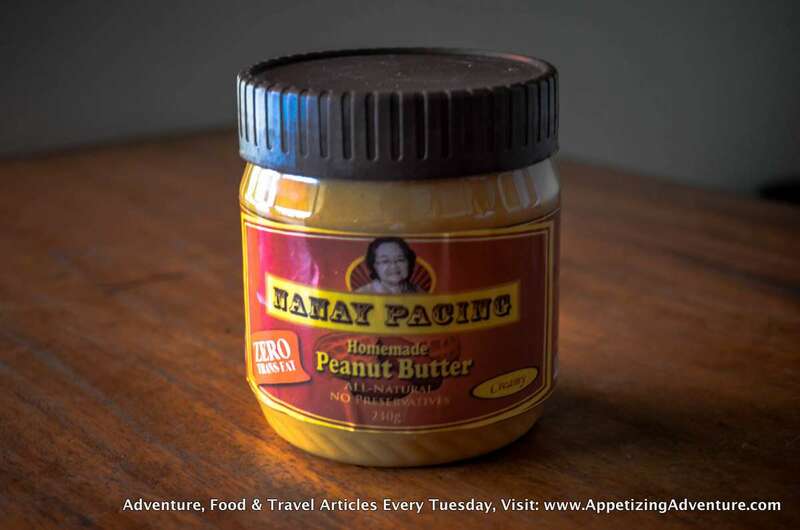 It turns out, Nanay Pacing’s Peanut Butter is the most popular peanut butter in Baler. I saw it being sold in Costa Pacifica, Pasalubong Center, souvenir shops, and other stores. Different TV shows and online articles have featured it. On October 25, 2014, we went to Nanay Pacing’s store. 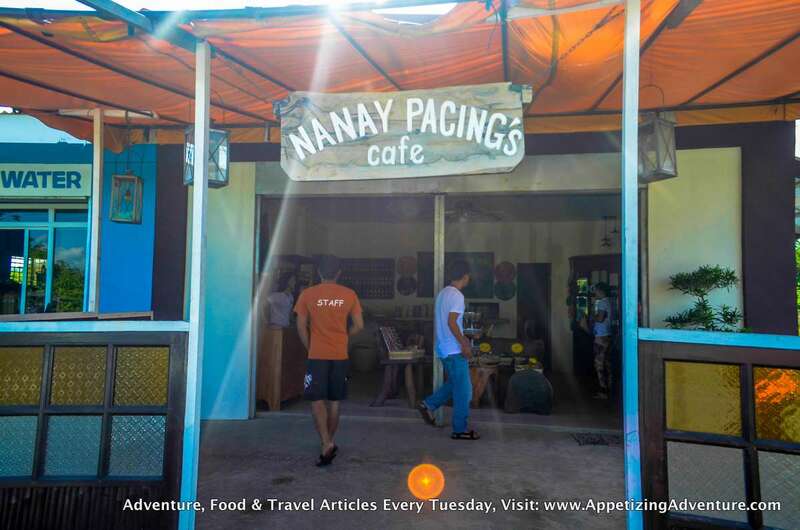 Outside, a sign wrote “Nanay Pacing’s Cafe,” and inside, “Nanay Pacing Homemade Pasalubong” was written on a blackboard. 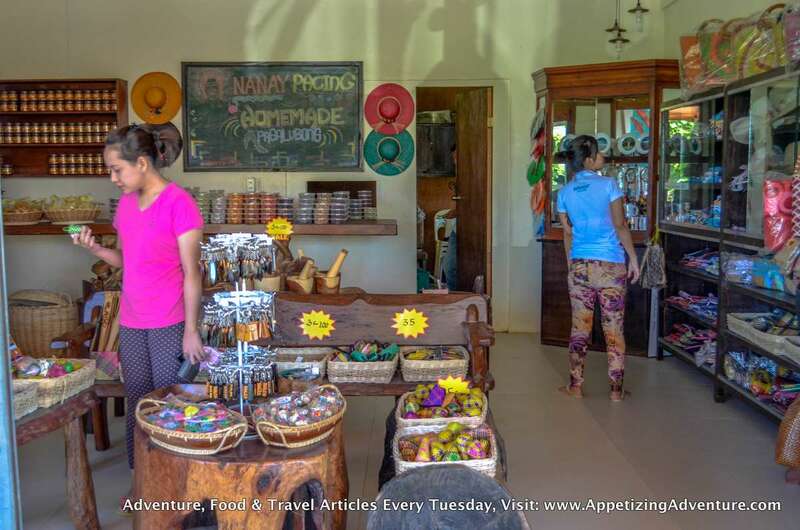 It’s a souvenir shop with local delicacies also available, and of course their flagship product, Nanay Pacing’s Peanut Butter. For all the visitors, they offer free taste. I had a spoon of peanut butter. I had another one. And another. I was trying to figure out what the fuss was about. It’s creamy and the sweetness was subtle. I wasn’t blown away or anything. Just like any other peanut butter, I liked it. I’m not too discriminating when it comes to peanut butter. I like them all. But if there was something that made this extra special, it was meeting the woman behind it. Pacita Camacho Tolentino, or Nanay Pacing. When she arrived, I think I finished half a bottle of peanut butter. I like peanut butter. I can finish the whole thing. 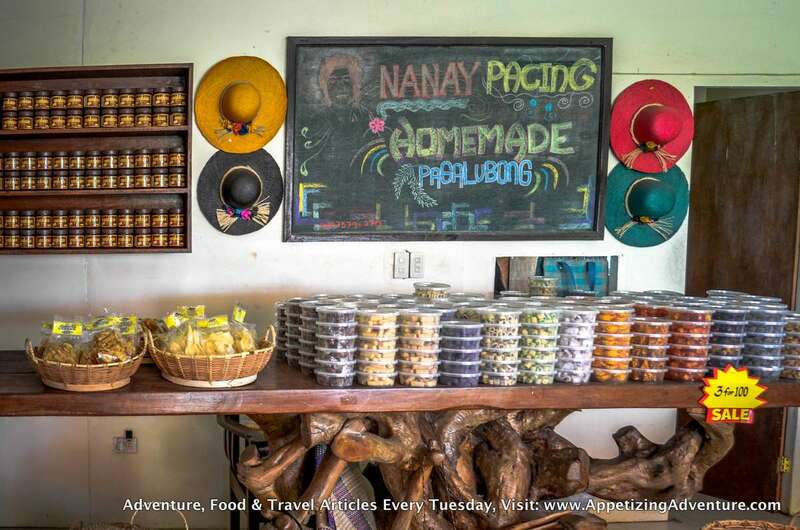 Nanay Pacing said her product has simple ingredients. Roasted peanuts, salt and sugar. It has no preservatives, no oil. 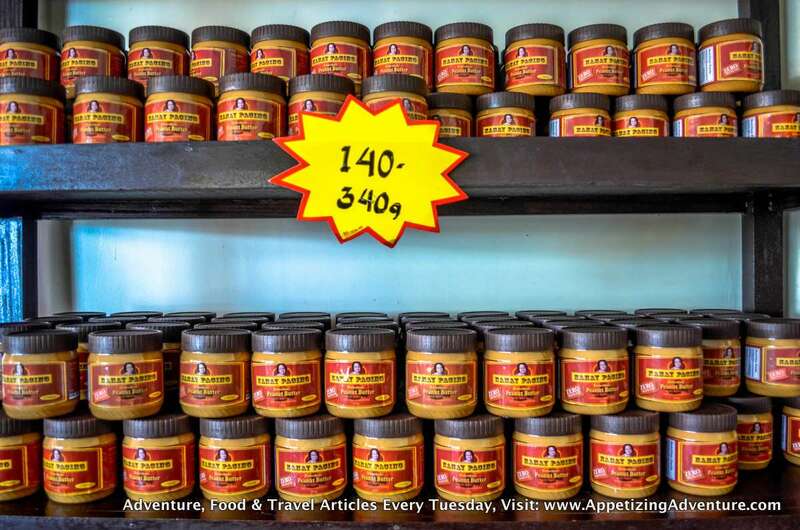 She emphasized that she makes sure the quality of her peanut butter is consistent to give only the best. After visitors get a free taste, they’ll know what she’s talking about. She attributes the success of her peanut butter not to the high quality she ensures, but to God who provided her everything she needed, including the inspiration of how to create this masterpiece. After all, it wasn’t peanut butter she grew up with. Her story is that of a struggling family that was uprooted to look for greener pastures. In 1966 she moved to Baler. She came from Cabanatuan where competition was too stiff. 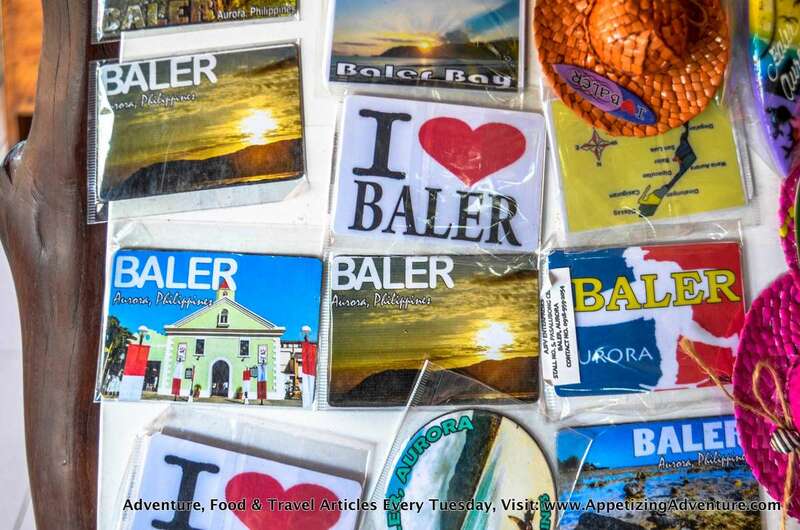 In Baler she experimented on many income generating endeavors. From selling ukay-ukay or second hand clothes, to selling kakanin. Kakanin are native delicacies, snacks or desserts often making use of rice as main ingredient. Selling kakanin had a problem. They easily spoil. She wanted to sell an edible product that would last longer. That was when she started learning how to make peanut butter in the 1970’s that became a hit. Today, her product is available in many parts of Baler and nearby provinces. 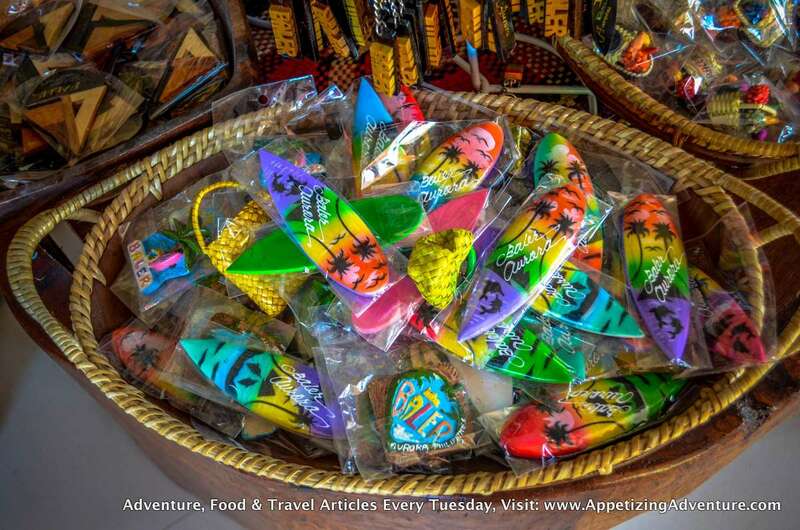 More than that, she helps other locals sell their products that are made available at her store, like hats, keychains, magnets, bags, wallets, chips, delicacies and more. 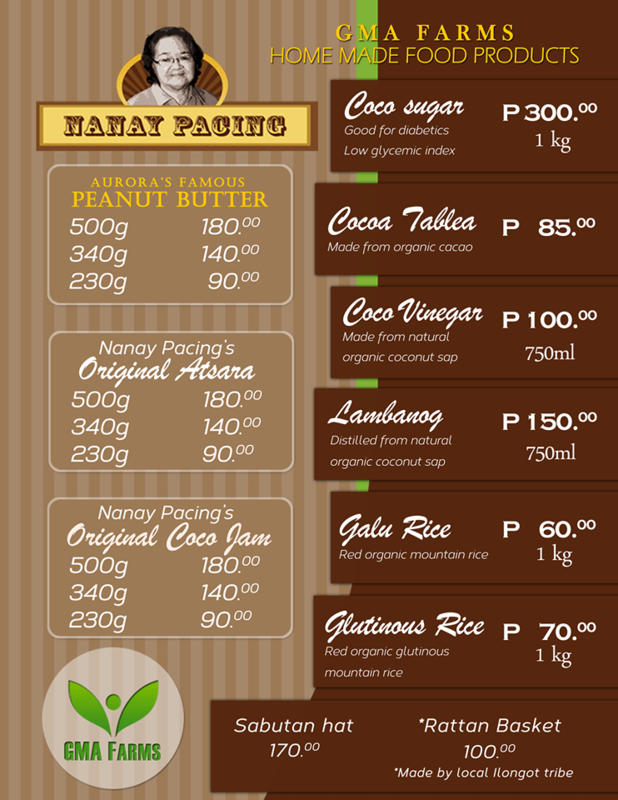 When you buy from Nanay Pacing’s, you don’t just enjoy the quality of her peanut butter, but you also help create jobs. I live in BF homes Paranaque Pitongdaan Evangelista no. 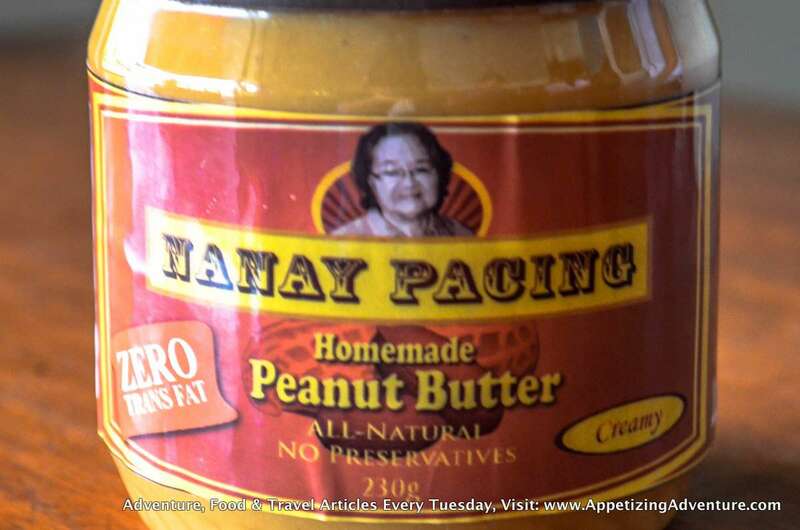 14 and I need to buy Nanay Pacing Peanut butter. Where can I order this to try and bring to Hawaii.